My innate fear of boredom has driven me to load up my phone with as many games, reading and video apps as it can fit. While that’s great for long queues and airport layovers, it can wreak havoc on my productivity. That’s where ClearLock comes in. This clever little tool lets you disable distracting apps so you can’t use them for a certain amount of time — something you can’t do on iOS. To focus, you can select distracting apps and then indicate how long you want to be locked out for — from 10 minutes to three hours. Once you’ve locked an app, the only way you can use it before the time is up is to reboot your phone. If you’re particularly fidgety and have trouble staying away from your device, you can also lock all your apps at once. That means it will also lock the dialer app — but I found that I was still able to receive calls, which is a good thing. I want to be reachable at all times, in case of an emergency. ClearLock does what it says on the tin with no extra frills. However, I’d like to able to set up a weekly routine for locking apps, just like an alarm clock, instead of having to do so manually each day. 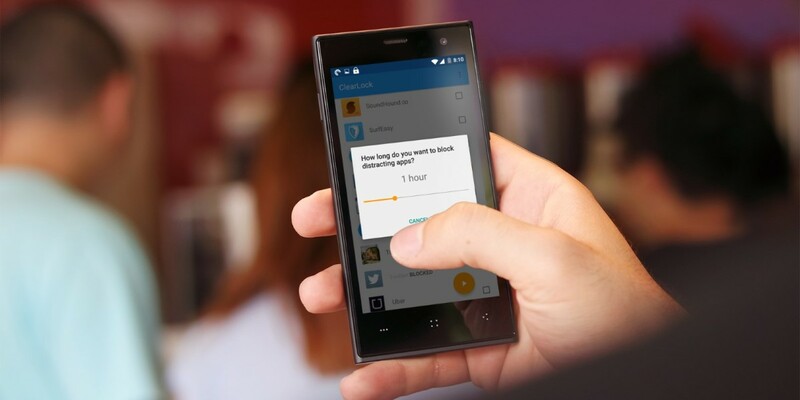 If you’re constantly wasting time on your phone, this free app is a must-have.